World herigate in Nara, registered by Unesco, is total of 9 buildings, They are temples or shrine,each are big,histrical and splendid. All are worth seeing. Check them. You can move this map by click and drag. 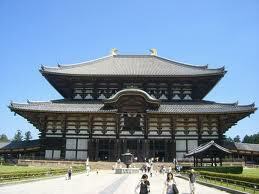 Todaiji is one of most famous and significant temples and a landmark of Nara. 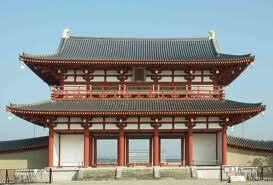 Todaiji was built in 752 as the head temple of Japan and grew powerful. 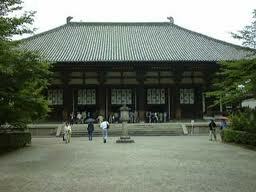 It is established in 710,and said that God of Kasuga Taisha came with deer. You can see many deer in Nara Park near here. 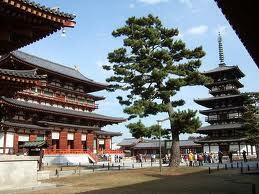 Kofuku-ji has its origin as a temple that was established in 669. It is the headquarter of the Hosso school in Japan. This temple was once one of the powerful Nanto Shichi Daiji in Nara.The original foundation of the temple was by Soga no Umako in Asuka, as Asukadera. 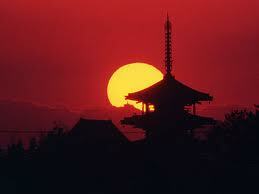 The temple was moved to Nara in 718, following the capital relocation. The original Yakushi-ji was built in Fujiwara-kyo, Japan's capital in the Asuka period, commissioned by Emperor Temmu, in 680 to pray for recovery from illness for his consort. 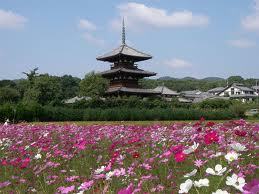 It was founded by a Chinese priest named Ganjin during the Nara period in the year 759. Ganjin was a blind Chinese monk hired by the newly empowered clans to travel in search of funding from private aristocrats. 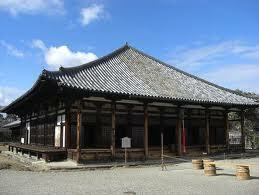 Heiijokyu Seki was was located in the north end of the capital city, Heijokyu. The remains of the palace, and the surrounding area, was established as a World Heritage in 1998. 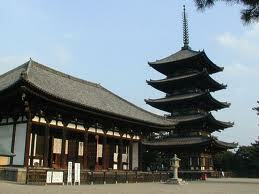 Tree story pagoda of this temple is oldest and biggest in Japan. 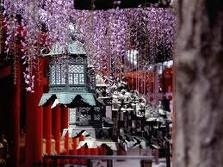 Houkiji is often considered to be one of the seven great temples founded by Prince Shotoku, however, the temple was not completed until some decades after his death.